Major Gen Tajamul Hussain was an outstanding officer. His performance in 1965 and 1971 war was outstanding. He planned the 1980 coup against the clown tin-pot usurper Zia and his bunch of crones of 23 March 1980. Which would have set the political system of Pakistan on right course. He was imprisoned by Zia but released by Gen. Aslam Beig after Zia plane crashed on Hindu Shamshan Ghat on basti Lal Kamal on the historic 17 August 1988. He was released by his successor General Beig who restored his full military rank and honors. Please tell us something about your early life, parents? I was born on 13th June 1924, in village Thanil Kamal, Tehsil Chakwal, then District Jhelum (now District Chakwal). I spent my childhood in rural atmosphere, which at that time was quite primitive. There was no electricity, no roads, no telephones and as far as I remember no one owned even a bicycle. Radio came much later. Men, women and children wore the same dress as their ancestors put on centuries ago. There was not much difference between the rich and the poor. There were no social barriers and the living style of all the inhabitants was almost alike.A village was a self-sustained compact unit. They produced their own wheat, meat, vegetable, rice, ghee, eggs and almost everything one needs for ones simple living. The village shopkeepers were Hindus or Sikhs. Almost all purchases from the shops were on barter system. The prices of agricultural and dairy products were very low: -Wheat was sold at 1 1/4 rupees a maund. (40 Kilo) Meat 1/4 rupee a seer ( Kilo) Milk – 10 seers for one rupee. Pure desi ghee – 1 1/4 seer for one rupee. Chicken weighing one seer for about four annas (1/4 rupee). These rates compared favourably with the rates laid down in “Aaeen-i- Akbari” during the Mughal Emperor Jalal ud Din Akbar’s rule, more than four hundred years ago.Both my father and mother were highly religious. I inherited my religious convictions from my parents. Please tell us about your school / college days and any decisive influences on your personality formation / development of convictions ? A common village boy living in rural atmosphere, as mentioned above, could not conceive any high ambitions. I had many relatives in the Army but the highest rank held by any one of them was that of a Subedar, (which was then called Viceroy Commission). In fact, as far as I remember, there was not even a single King’s Commission Officer in the whole of Tehsil Chakwal at that time. ( First IMA course passed out in 1934/35).From village school, I moved to Government High School Chakwal. Lieut General Abdul Majeed Malik and Maj General Nazar Hussain Shah were a class ahead of me. Brig Amir Gulistan Janjua, whose last appointment was Governor of NWFP, was my class fellow. I think if statistics are taken, that rural area High School produced more Brigadiers and Generals than Aitchison College and Burn Hall combined. What were your perceptions as young man in pre-1947 India about the prevalent political conditions — Muslim League, Congress etc? The British Indian army was a mercenary Army. Although occasionally we used to read about the political developments then taking place, yet at that time it never occurred to us that the Indian Army would be divided so soon and a new state of Pakistan would come into being as a homeland for the Muslims. It looked a fantasy. Any memorable incidents, which left an indelible impression on your personality? I cannot think of any particular instance, which left an indelible impression on my mind. However, by the time I was a Platoon Commander at PMA in 1954/55, my experiences, observations in life, extensive study of books of history, philosophy and religion particularly Iqbal’s book “Reconstruction of religious thought in Islam” and his Urdu poetry had convinced me of existence of God and all that is laid down in Quran. From then onwards I became a dedicated practicing Muslim and started praying regularly which continues till today. Islam is the guiding force for all my actions and reactions. Whether in peace or in war, I drew my aspirations from Islam. I pray to Almighty Allah that may He continue to guide me for the rest of my life. Motivation for joining the Army? I joined the Army to earn my living. When I grew up, Second World War was continuing and Army was the best profession at that time. There was no other consideration. Please tell us something about your life as a cadet? In 1945, I was selected for pre-cadet College Belgram (Southern India) and after the termination of Second World War in Sept 1945, all the cadets were put through another Selection Board. In April 1946 I joined Officers Training School at Bangalore (Southern India) and on 16th Feb 1947 I was commissioned in the Rajput Regiment of the British Indian Army. (Late) General Akhtar Abdur Rehman (DG ISI) and Lieut General Jahanzeb Arbab were my course mates, though I passed out senior to both of them in the Order of Merit. Any seniors, contemporaries who impressed you or were a decisive formative influence during cadetship?None. Experiences as a young Commissioned Officer from the date of Commission till partition? The training at Officers Training School was aimed at moulding the very outlook on life of the cadets and not just imparting professional military training. After Commissioning, the Indian Officers were expected to behave like their masters in all aspects of their day-to-day life. The result was that in order to become a good officer, one was expected to drink, dance and even speak the Urdu language with English accent. The sooner one adjusted oneself to complete European way of life, the better one’s chances were to be regarded as a good officer. Good annual confidential reports (ACRs) and even course reports were generally based on the outer personality of the individual concerned and seldom any superior reporting officer tried to find out the real worth of the man. That is why when partition took place, the outlook of most of our senior officers was more British than the British themselves. Anyone who talked about religion was considered to be a backward type and sometimes even ridiculed in public. There were no doubt some exceptions like General Sher Ali, who took pride in calling himself Muslim and openly preached Islam, but even their way of life was generally very aristocratic and Europeanised. They could more appropriately be called, “Muslim Elites”. The best regiments of the British Indian Army were those which had played the most treacherous part against their own countrymen particularly during the war of Independence in 1857 (which was called ‘Mutiny’ by the British and their henchmen) or those which had committed the most savage acts against unarmed Indian masses who had risen in revolt against their foreign rulers from time to time. Items such as Sultan Tipu’s sword, captured copy of Quran from Ali Masjid during fighting against the Afghans, Regimental flags and various types of weapons belonging to the defeated armies of the Muslim rulers were displayed with pride as trophies in the Unit messes, which perhaps continues till today. A Junior Officer on joining the unit was expected to know all about the history of his unit, which in fact, was the history of treachery and savagery against his own countrymen or that of the fighting against the Ottoman or Afghan Muslim rulers. It never occurred to the young mind, at that time, what a poisonous effect it was likely to have on the development of his real personality. Please tell us about your service profile from partition till 1958? At the time partition took place, I was serving as a second lieutenant at the Rajput Training Centre at Fatehgarh in the United Province (UP) of India. In October 1947, a contingent of Muslim soldiers, comprised of four officers and about five hundred other ranks were repatriated to Pakistan. At first we all reported at the Frontier Force Training Centre at Abbottabad. In December 1947, I and another officer were posted to 3/8 Punjab Regiment (now 3rd Baluch Regiment) at Peshawar which was earmarked to proceed to East Pakistan. In the first week of Jan 1948, we landed at Chittagong by the sea route. I stayed in East Pakistan up till June 1950. It was a wonderful experience. The East Pakistanis treated us with love and affection. I had developed great liking for those people. I wish those feeling had continued but it was our own fault. We treated them as Negroes were treated in the United States of America. We considered East Pakistan as our colony. We had to pay dearly for our follies twenty-five years later.In June 1950, I was posted as GSO-3 in Military Intelligence Directorate, General Headquarters Rawalpindi. About a year later, the Indians threatened to go to war unless we vacated Kashmir. Liaquat Ali Khan, the then Prime Minister, accepted the Indian Challenge to go to war and showed his famous “Mukka” (fist) declaring “we will break your nose if you dare to cross our borders”. Consequently both the Armies were deployed on the border and occupied their defensive positions. It was a great feeling. The entire nation was emotionally charged and every soldier took pride in being in uniform. We were prepared to revive the traditions of Muslim Armies of early period of Islam. Charged with such feeling I volunteered to go to the front line. I was posted as GSO-3 in 10 Division where I spent about 6 months or so. In early 1952 I was posted back to my unit 3/8 Punjab Regiment, now 3rd Baluch which was still deployed in their battle positions at Gujranwala. I was appointed Adjutant of the Battalion. 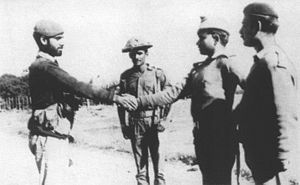 A few months later, both the countries agreed to withdraw their armies to their peace locations and my Battalion moved to Abbottabad. In October 1954 I was posted as Platoon Commander at PMA. Towards the end of 1955, I passed my Staff College examination and in 1956 I attended the Staff Course at Staff College, Quetta. After the termination of Staff Course I was posted as GSO-2 to the Commandant, where I stayed upto the end of 1958. You served in former East Pakistan as a young officer in early 1950s and saw Ayub as a GOC. How would you describe Ayub at that time as a professional, a person and a senior? General Ayub of 1948 was quite different to what he became after proclaiming Martial Law in 1958. In those days, his living style was very simple. Most of the time he used to be attired in Khaki bush-shirt and trousers at all functions, formal or informal. He had only one grey suit, which he wore in summers and winters. He used to get his uniform stitched from our unit tailor. I never saw him wearing blue patrols or any other expensive suit other than what I have said before. I had developed great liking for him. In those days I had considered him an ideal soldier. I changed my opinion about him completely when he became the President of Pakistan or even a few years earlier when he started indulging in politics and accumulation of wealth and property. He had known me personally and soon after he became Commander-in-Chief in 1951 he had accepted my invitation to attend a private tea party. At another occasion in 1952, when I was a company commander at Chakdara, he accepted my invitation for a lunch when he was on his way to Dir with an entourage of about 8-10 other officers. I still have his autographed photograph, which was sent to me framed in a silver frame through his Military Secretary, when I was a Military Attache in Turkey. I passed on that framed photograph to my elder son Naveed Tajammal who still likes him whereas I had changed my opinion about him after he became the President of Pakistan. What are your impressions about the British Officers who served in the Pakistan Army after partition? I carried good impression about them. Major General Hill, who was our Adjutant General and Brigadier Rhodom, who was Director of Infantry used to go to their offices on bicycle and so did some other British officers, who were holding key appointments in General Headquarters. The then Commander in Chief, General Gracy used to go to his office in a small Hillman car and from C-in-C House to General Headquarters if he saw any soldier in uniform going on foot on his way to GHQ he used to stop his car and tell him to “Hop in” and carry him up to the gates of GHQ. Most of British Officers could be trusted for their word and standard of integrity. No doubt they had social values of their own but that was part of their own culture. On the whole they conducted themselves as good ambassadors of British Nation. Please tell us more about your tenure as an instructor at PMA and the standard of training at PMA as you saw it in the 1950s. When I joined PMA, Brigadier Pigot was the Commandant of the Academy. He had been the Commanding Officer of General Ayub, when the latter was a junior officer in one of the Punjab Regiments, perhaps old 1st/14 Punjab. His living style was very austere and was a highly dedicated soldier. He expected the same standard from the Platoon Commanders and the cadets. Since he had been Ayub Khan’s Commanding Officer, no PSO (Principal Staff Officer) or any other Pakistani senior officer, could dare interfere in his training programmes nor he was prepared to accept any dictation from General Headquarters. He had his own style of training the cadets and he continued to do so up to the time he left the Command sometime in the middle of 1955 and returned to England. Even on the day he was leaving he inspected the unit lines and the classes and sent a note to the Adjutant to send instructions to the officers concerned to put the things right wherever he found anything wrong. Almost every platoon commander judged his cadets by his own standard of integrity, honesty and moral values. Some of the very good cadets were thrown out because they could not be judged properly by their platoon commanders. Whereas some of the low grade cadets were brought to high position by their platoon commanders on the basis of sycophancy and deceitfulness thus laying the framework for the future. I generally found most of the West Pakistani Platoon Commanders rather biased towards the East Pakistani Cadets. I personally had very sympathetic feelings for them, perhaps because of my early stay in East Pakistan. After their repatriation to Bangladesh out of the six East Pakistani Cadets in my Platoon, four became General Officers.How was regimental life like in the period 1947-1965. When Pakistan came into being, we had no industry which could provide material for soldiers’ uniform or other military equipment. Even socks, boots and cloth for uniform used to be imported from England. Kikar thorn was provided in packs from the stationary depot in place of common pin. Paper, pencils and every item of stationary had to be imported from abroad. Indo-Pak war of 1948 in Kashmir was fought under these conditions. The present day Azad Kashmir was due to the sacrifices of those unknown heroes who had to carry on the fight under most difficult conditions. When the ceasefire was ordered in 1948 they were thoroughly disappointed. For, they were convinced that had they been allowed to continue to fight they would have captured Srinagar within a few months. The old theory that it is the man behind the gun and not the gun that matters literally proved true in the Indo-Pak war of 1948 fought on the soil of Kashmir.After a few years, the conditions had slightly improved, in that, indigenous industry was installed to meet our partial requirement of arms and equipment. Towards the end of nineteen fifties, under mutual agreements and pacts, American Aid started pouring in, which provided free arms, heavy weapons and equipments to all the three services; Army, Navy and Air Force. By 1965, Pakistan Armed Forces had become a hard hitting force capable of destroying any army twice its size at any place and at any time.Regimental life for the first ten years or so was still preferred over staff appointments. In all other aspects it remained more or less the same as it is today. I personally found it fascinating. We all lived like family members and the relationships developed during that period continue till today. Most of officers were dedicated soldiers. They served in the Army more for honour than for monetary benefits. With the passage of time, gradually standard of integrity, honesty and moral values degenerated. Please tell us something about the standard of training in the Army in the period 1947-58 and 1958-65 i.e. how would you compare both the periods in terms of improvement or decline, standards set or achieved and level of professionalism? From 1947 up till 1958, Pakistan Army was a small Army but highly competent and dedicated to the profession. We had very simple living but took pride in the profession and being men in uniform. Therefore, all its efforts were concentrated on professional training and loyalty to the Constitutional Government. However, after the proclamation of Martial Law in 1958, its priorities changed. Martial law changes the very outlook of a soldier towards his profession or his duty to the state. Loyalty to Ayub Khan and the ruling junta was given the top priority whereas training in the Army and its obligation to the State were relegated to the second position. Our senior officers started indulging in accumulation of wealth and building palatial houses. The higher leadership was mostly incompetent. Thus the seed for the disintegration of Pakistan was sown. And after about ten years or so it resulted in the break-up of Pakistan in the 1971 war. Had we not lived under martial law from 1958 onwards and remained a professional army, as in the past, I have no doubt that we would have decisively defeated the Indian Army both in 1965 and 71 wars. Please tell us about the political perceptions that you formed in the Pakistan of 1947-58? In 1948, my unit 3rd Baluch was in East Pakistan. Then Major General Ayub Khan was the local Log Area Commander. Another unit of that formation was a battalion of the Frontier Force Regiment, perhaps the 8th FF Regiment. That was the total force under the Command of General Ayub. He very frequently used to visit the combined Unit Officers Mess and informally spend the evenings with the officers like our Commanding Officer. One day during informal conversation he said, “Before partition anyone who had a bit of brain preferred to join the services. They either got commission in the Army or joined Class One Civil Services. Only junk was left behind. When partition came, Quaid-i-Azam couldn’t find better people and he had to pick up political leaders from amongst the available junk and dished out high appointments to anyone who came in the way.” That showed General Ayub’s contempt for the politicians even at that time. And to some extent this impression had its effect on other officers also. I, as a young officer at that time, also thought that perhaps he was right but with the passage of time I realised that even if he felt that way it was not proper for him to say so in the presence of junior officers. For, it amounts to spreading hatred against the constitutional government. And, Pakistan then being a new state could not afford such criticism to prevail. In fact, one of the main reason why democracy could not take roots in Pakistan was that the Army had started indulging in Politics in the very early stages of its creation. The first Martial Law was proclaimed at Lahore in 1953. And the first constitutional government of Khawaja Nazim ud Din was dismissed by Governor General Ghulam Mohammad in 1954 with the connivance of General Ayub Khan, then C-in-C Pakistan Army. On the other hand in India, General Cariappa, the first C-in-C Indian Army, when on completion of 3 years term, was offered an extension refused to accept such an offer, saying, “If the Indian Army cannot produce a Commander-in-Chief to replace me, it is not worth its salt”. Consequently, India remained safe from Martial Laws. Please tell us something about your experiences as a student at the Staff College Quetta, the standard of instruction, any instructor who particularly impressed you etc? This course forms an essential part of an army officer’s career. The standard of training at Staff College, Quetta compares favourably with any other Staff College in the world. It has a very fine library and instructions imparted are of a very high standard. The course I attended had about 20 foreign students and about 60 Pakistanis. It no doubt serves as a foundation for further promotion to higher command. I have nothing more to add. Please tell us about your service profile from 1958-65? After completion of my staff course in 1956, I was posted as GSO-2 to the Commandant where I stayed up till the end of 1958. In early 1959, I was sent to the United States for a course at the Infantry School Fort Benning. In July 1959, I returned from United States and was posted as company commander to my unit 3rd Baluch. In Oct 1960, I was posted as Brigade Major 104 Brigade at Sialkot. In Jan 1963, I was selected for Turkish language Course and after undergoing preliminary training for about 4 months at Karachi I was sent to Turkey for advanced Language training where I stayed till the end of 1963. In early 1964 I was posted as 2nd in Command 21 Baluch where I stayed for nearly a year and a half and was then posted as CO 3rd Baluch in July 1965. How was the experience in Turkey? I went to Turkey, for the first time, in 1963 to attend the Turkish language course wherein I got First Class Interpretership. In October 1966 I was posted as Military Attache and stayed there for three years. Since I knew the language very well, it became easy for me to study their history and the reasons for the rise and fall of Turkish Empire. It was a fascinating study for me. For, since its foundation in 1288, the Turkish rulers had carried the banner of Islam for more than seven hundred years. Instead of fighting against the Muslim rulers in the East, they had expanded their empire towards Europe in the West and Russia in the North. By the end of 17th Century almost the whole of Eastern Europe, major portion of southern Russia and entire middle-eastern Muslim countries formed part of the Ottoman Empire which continued to remain under their influence upto the beginning of First World War in 1914. During the First World War the Arabs had betrayed the Turks and Istanbul was occupied by the Allied Armies. Consequently, the Turks developed a hatred towards the Arabs. After 1918, the Turks carried out War of Independence under the leadership of Attaturk Mustafa Kamal Pasha and established present day Turkey as an independent state. Though as a Nation, they carried out the War of Independence as a Jihad against the Christians, yet Mustafa Kamal and his close associates harboured hatred against the Arabs. By 1928, in the name of reforms he tried to obliterate the influence of Islam from the Turkish State and changed the written Arabic script into Latin and compelled everyone to put on European dress. Even Azzan in Arabic was banned and translated into Turkish. The Army became the custodians of the reforms and that conflict still continues. A vast majority of Turks are dedicated Muslims and have very good feelings towards Pakistan. In 1965 war, the Prime Minister of Turkey had ordered all the resources of Turkish Armed Forces be placed at the disposal of Pakistan and anything they need must be immediately provided. Since both the armies were equipped with American equipment, planeloads of ammunition and equipment were sent to Pakistan to meet our requirement. Throughout my stay in Turkey, I felt as if I was at home. I with my family travelled throughout the country, and at no stage I ever felt that I was in a foreign land. Please tell us something about your experiences as CO 3rd Baluch in 1965? On 17 July 1965, I took over the command of 3rd Baluch, the Battalion I had joined as a second lieutenant after repatriation from India where I was serving in the Rajput regiment since my commissioning on 16th February 1947. Immediately after assumption of command I started intensive training. In about a month and a half the battalion was fully trained for war. Chamb operation had started on the 1st of September 1965 but the troops at Lahore were carrying out normal peacetime training till 4th of September. On 4th of September, I held my battalion ceremonial parade and in the afternoon there was a basketball competition. On 5th morning a TEWT (tactical exercise without troops) was to be held and instead of going to the exercise we were suddenly called to the Brigade Headquarters and ordered to move to our allotted defensive positions astride GT road on Wagha Sector. We were specifically ordered not to leave the unit lines before midnight 5/6 September. From my unit lines to Batapur bridge was about 14 miles, which my Battalion had to cover on foot. At about 6 o’ clock on 6th September, my companies had reached their allocated position extended over a distance of about 5 miles astride the GT Road. My right forward company had just reached its position on both sides of the BRBL canal when the Indian Army attack started. I had hardly taken off my pack when I received a message from the Brigade Major 114 Brigade that India had attacked Pakistan and captured Wagha and Gawindi post on Burki Sector and was advancing towards Lahore. It was my first experience of war and it is a fact that I felt highly thrilled. A little later, about half a dozen Indian planes flew past towards Lahore. The Indians had started their advance with 15th Indian Division consisting of 4 brigades on Wagha Sector and 7th Division less one Brigade on Burki Sector. Obviously Wagha sector was comparatively more important from the Indian point of view because the Grand Trunk passes through it and after reaching Shalimar gardens they could get on Mahmood Booti Road and capture Ravi bridge without going through the built up area of Lahore City. This would have sealed off Army reinforcements to the beleaguered troops in Lahore Cantonment who were, in any case, not yet ready to go into battle. Most of the divisional artillery units and 22 Brigade, which was in reserve, were doing their normal PT parade on the morning of 6th September when the leading Indian troops had started their attack on our positions on BRBL canal. A major portion of Lahore garrison officers heard the news about the Indian attack when they were having their breakfast in the messes or in their houses. This was the state of preparedness of 10th Division, who were responsible for the defence of Lahore, on the morning of 6th September, I called up my depth companies to fill up the gaps in the defensive area. We fought that battle without trenches, without defensive minefield and without barbed wire in the defensive positions when the Battalion was pitched against a division of 4 brigades. If I go into the details of the narrative of the battle of 6th September, it would become very lengthy. The area between the BRBL canal upto Ravi bridge was all empty. The two leading enemy tanks were destroyed by one of our anti-tank guns firing from behind a bullock cart. Both sides were surprised in this battle. We were not expecting enemy attack because we were moved only as a precautionary measure with only the pouch ammunition and not allowed to even dig our trenches till the time the positions were visited by the Brigade Commander or the GOC. The Indians were surprised to find the BRBL occupied by Pakistani troops who had started firing on the Indian advancing troops. They were expecting that the canal would be empty, whereas on reaching there they were confronted by every type of fire. In those days, our defensive battle concept was in three layers; the first layer, the second layer and the resistance zone each 2000 yards apart. They perhaps thought that they had reached the first layer positions and they had yet to face the second layer and resistance zone. Instead of pressing their attack to capture the bridges across the canal they decided to halt the advance with sporadic firing and carry out proper canal crossing operation at night. By the evening we had considerably strengthened our positions and were ready to face the challenge.Till today I call it a miracle. For, had the Indians succeeded in capturing the Batapur Bridge that morning, Lahore would have fallen latest by 11 o’clock that morning and General Chaudry, the then C-in-C Indian Army would have celebrated their victory in Gymkhana Club over a peg of whisky, as promised to his officers, on the eve of the battle. The narrative of the battle for the next seventeen days is a long story. By 10th September, we were ready to resume the advance on the Indian soil, but because of the incompetence and cowardice of the higher command we could not do so and when the war ended the Indians were in occupation of about 240 square miles of our territory beyond the far bank of the BRBL canal. Our armoured division offensive on Khem Karan sector had also got bogged down. Indian war correspondent Kuldip Nayar in his book “India’s Critical years” has described a very interesting account of Indo-Pak battle in Lahore-Khem Karan sector wherein he states that when our Armoured Division offensive started in Khem Karan sector, the Indian C-in-C General Chaudry ordered General Harbash Singh, Commander Western Command to withdraw his troops behind Bias river. General Harbash Singh refused to comply with the order saying he would not withdraw his troops but would instead fight the battle from his existing defensive positions. General Chaudry retorted, “You do not know the capabilities of Armour” implying that he could not comprehend the power of an Armoured Division. The Sikh General replied saying that “In war it is the courage that matters and not the technical knowledge”. By doing so, the Sikh General saved India. Had our attack succeeded, the Indian Army would have suffered the same defeat as Arab Army had suffered at the hands of Israelis in 1967 war. Here again our higher leadership failed to carry the battle to a successful conclusion.After the end of the war, in order to hide their weaknesses and the public criticism, instructions were issued by the General Headquarters to destroy the war diaries so that, at some later stage, if any commission of inquiry was appointed to examine the conduct of war, no record of their incompetency could be produced as evidence. You have asserted in your book that many gallantry awards were awarded in 1965 on the basis of citations and personal reasons rather than on actual ground realities. What is the basis of this viewpoint? My personal experience of both the Indo-Pak wars of 1965 and 1971, has convinced me that it is very difficult to draw a distinction between the fighting capabilities of individuals while engaged in a collective action by giving awards to some and leaving others who had done equally well. In fact this creates more discontentment than fostering harmony amongst comrades in arms. For example, award of Nishan-i-Haider to Aziz Bhatti on Burki Sector was based on a completely fictitious citation. And I can say with confidence that at least eighty percent of the awards in both the wars were completely bogus. In 1971 war I had commanded 205 Brigade in Hilli Bogra Sector. Major Akram, Nishan-i-Haider was in my brigade. That brigade received more than 50 SJs & TJs, the highest number of awards in that war. No one knows better than I do, that those awards were just dished out at random only because I was continuously being pressed from Eastern Command to send the list of gallantry awards. For, my brigade was the only brigade which continued to hold its position to the last days before the ceasefire and when the war ended the fighting was still going on in the streets of Bogra and I had refused to surrender. Please tell us something about your service profile from 1965 to 1971? After 1965 war, I was selected for posting abroad as a Military Attache in Turkey where I stayed from Oct 1966 to Oct 1969. In November 1969 I returned to Pakistan and took over the Command of 54 Brigade at Sialkot. I remained in Command of 54 Brigade for about 2 years and in October 1971, I was posted to General Headquarters as Director of Staff Duties. In November 1971, I volunteered for service in East Pakistan and was posted to East Pakistan as Commander 205 Brigade at Bogra. How was the standard of training in the Army in the period 1965-71? Was there any improvement as compared to the pre-1965 period. I cannot comment much upon it for the period 1966-69 because in that period I was away in Turkey but on return to Pakistan in October 1969 and assumption of Command of 54 Brigade, I put the entire Brigade through tests as laid down in training Directive by GHQ and on completion of the tests I sent a report to the GOC 15 Division saying, “The entire Brigade units are unfit for war”. The then GOC, General Abdul Hameed, called me in his office and said, “I have seen your report. My Division is as well or as badly trained as any other Division of the Pakistan Army”. Instead of appreciating it, he appeared to be a little sarcastic. I told him that I meant no aspersions on his Command and that I had sent him the report so that he should know the correct position about the operational fitness of my Brigade. Anyway that did not bother me and I started the training as I wanted to. It had been my practice throughout my career that I always did what I thought was right irrespective of the fact whether it was liked or disliked by my superiors. I was quite used to such rebuffs. I have always maintained that only those officers who have learnt to command with confidence and obey with self-respect can bear the heavy strains of war. You volunteered for service in the East Pakistan when many people already thought that it had been lost. What were your reasons for doing so? In Oct / Nov 1971, I was holding the appointment of Director Staff Duties at GS Branch, General Headquarters. I used to see reports of at least 30 to 40 own troops being killed everyday. One got the impression that if that state of affairs continued, East Pakistan would slip into Indian hands. I am a devoted Muslim and I became very emotional. I sent a personal letter to Brigadier Baqar Saddiqi, Chief of Staff Eastern Command, who was an old friend, saying we would not let East Pakistan become Spain in the History of Islam. In those days, officers posted to East Pakistan often used to remain on “Sick Report” or got themselves admitted in Hospitals. The MS had to issue a letter throughout the Army saying that in future posting to East Pakistan would not be cancelled on the grounds of admission in hospitals. The officer would have to move to East Pakistan even on stretcher and if it was a genuine case he would be admitted in hospital in Dacca. Regardless of the prevailing situation I asked for interview with General Hameed, then Chief of the Army Staff and requested him for posting to East Pakistan for command of a Brigade. He highly appreciated my volunteering for service in East Pakistan and in a few hours my posting order was issued by the Military Secretary to take over the command of 205 Brigade at Bogra. Please tell us something about your experiences as a brigade commander in the East Pakistan in 1971? The battle of Hilli Bogra sector in 1971 war can rightfully be regarded as a classic example of defence in the history of warfare. Against my one brigade, Indians had deployed four infantry brigades i.e 202 Brigade, 66 Brigade, 165 Brigade and 340 Brigade, one armoured bridge i.e 3 Armoured Brigade, 471 Engineer Brigade and two artillery brigades augmented by 33 Corps Artillery, yet when the war ended on 16th September, the battle was still going on in the streets of Bogra. The Indians could not succeed in breaking through that sector till the very end. If I go into the details of the battle, it would become very lengthy. The Indian General, Major General Lachman Singh in his book, “The Indian Sword Strikes in East Pakistan” described this battle in detail. He has devoted at least two chapters on it. After the war the Indians had sent a team of experts to study the battle on the ground and determine reasons why such a heavy force as described above could not break through that sector till the end. You have stated in your book that atrocities were committed by many units / individuals in East Pakistan. You have also stated that you tried to curb these. What was the extent / magnitude of the alleged atrocities vis-a-vis alleged atrocities committed by the Mukti Bahini. I took over the command of 205 Brigade on 17th of November 1971 and about 4 days later the Indians had started the attack on our positions. During the period of my command, on one occasion, it was reported to me that one of my units 8 Baluch had captured about 8 civilians. The brigade headquarter was informed for their disposal. I was told that as a routine all such persons who were captured were to be shot without any investigation. I passed orders that in future no such shooting would take place unless I had seen them myself. When I visited the unit, they produced them before me. As I was meeting them, one of them fainted. The CO of that unit said, he is malingering. On further inquiry I found out that they were not in fact ‘muktis’ but were the local people working in the fields, grazing cattle. I ordered that they be released. I learnt through many other officers that during the earlier operations against the Mukti Bahinis thousands of innocent people were killed. In one of my defensive position at Santahar, large number of people were massacred. General Tikka Khan & Lieutenant General Jahanzeb Arbab had earned their reputation of being Butchers of East Pakistan. So were many other Brigadiers and Generals. Mukti Bahinis too, may also have done so in retaliation but it was very negligible as compared to the atrocities committed by the West Pakistani troops against the East Pakistanis. Despite the fact what we had done to them, I personally found the local people very sympathetic towards us. In fact after the war, when I was moving from Bogra to Naogaon to link up with 13 FF of my brigade, I and a team of another officer with 17 other ranks were captured by Mukti Bahinis and the locals who not only saved our life but put bandages on the wounds I had sustained during the process of my capture. How would you sum up the root cause of the failure in East Pakistan from the pure military point of view? We had enough resources in way of equipment and manpower to continue the war at least for six months. There was absolutely no justification for surrender. It was, perhaps, the guilt conscious weighing heavy on the minds of the Commanders, who had committed atrocities during the cleaning up operations. Had General Niazi and his team of Generals and Brigadiers decided to stand and fight, the Indian Army would never have succeeded in reaching even the fringes of Dacca. Even in the Hamood ur Rahman Commission it has been brought out that there was no justification for surrender. I do not consider it necessary to go into further details. For, it will become very lengthy. We understand that you refused to surrender in East Pakistan. Please tell in detail what you felt about the whole issue. Hilli Bogra sector was the only sector where Indians used an Armoured Brigade. For, in December the terrain represented the plains of Punjab. As I said before in this sector the Indians used 4 Infantry Brigade, one Armoured Brigade, one Engineer Brigade, one Mukti Brigade and yet could not break through this sector to the end and when the war ended the fighting was still going on in the streets of Bogra. I was inspiring them with the Quranic Ayat that a Muslim soldier does not surrender on the battlefield. Anyone who turns his back will go to hell. I could see that almost everyone whom I addressed was prepared to die. They responded to my speech with slogans of Allah Ho Akbar. It was most thrilling scene. Dr Monkakar in his book “Pakistan cut to size” had said, “the Battle of Hilli was the toughest battle of Indo-Pak War”, General Aurora, GOC-in-C Indian Eastern Command, in his interview with the Illustrated Weekly of India, published in 1973 had said, “The battle of Bhaduria (which was fought within Hilli Bogra sector) was the bloodiest battle fought in East Pakistan”. In fact he said much more than what I have said. I have only given a brief gist of it. Imbued with such a spirit how could I possibly think of surrender. The examples of Muslim commanders in the history of Islam who had fought against overwhelming Christian armies were ringing in my ears. At that critical moment those examples became a source of strength for me to continue to fight till the end. Was the failure in East Pakistan related to Niazi’s incompetence or also to the Pakistani GHQ’s poor initial planning and assessments which dated to the period before the 1971 war broke out? General Niazi had a brave record of service. In the past, whether during the Second World War as a company commander or in the 1965 War as a Brigade Commander, he had fought for mundane gains as a mercenary soldier. He is not the type who was guided by spiritual or moral convictions. In East Pakistan had he decided to stand and fight, he would have created example of bravery and dedication to the cause of Islam surpassing many Muslim commanders of the past. He would have been compared favourably with Musa Bin Ghasam who had refused to surrender in the last Battle of Granada (Spain), wherein at the time King Abdullah and his cabinet were laying down arms against the enemy forces of King Fernandez and Queen Isabella, he mounted his horse, drew his sword and broke through the enemy lines who had surrounded the palace. In this process he was so heavily wounded that his dead body was found on the riverbank about 20 miles away. I do not entirely blame him. Most of the senior Brigadiers and General Officers at that time were brought up in mercenary traditions and they were fighting for mundane gains. At the time when final surrender took place on 16th December, there were about 4 other Generals, one Admiral and about 30 Brigadiers. They could have forced him not to surrender, had anyone of them had the courage to do so. Any Pakistani field commander who impressed you in the 1971 War? Brigadier Sadiq Salik in his book, “Witness to Surrender” has described this action in detail. I cannot think of any such example from amongst the senior officers, both in East and West Pakistan, who risked their life to such an extent. For, after the fall of Dacca, our Senior Commanders in West Pakistan had the option to continue the war had they so desired. In the past in all our operational planning for the defence of East Pakistan, we had been saying, “If Indians Capture Dacca we will capture Delhi and that the defence of East Pakistan lies in West Pakistan.” When the time came and East Pakistan was occupied by the Indian troops, Pakistan Army in West Pakistan could not capture even Amritsar or Jammu. In fact they very eagerly accepted the Indian offer of ceasefire. At that critical moment, none of them had the courage to stand up and say, “No we will not accept ceasefire. We will fight till such time we capture a big chunk of Indian territory, at least, the size of East Pakistan” Had they done so there would have been no need for our 96,000 prisoners of war to remain in Indian camps for about 2 1/2 years. How was the PW experience in India? There must be many officers who though have retired from service can bear testimony to my last address to them uttering these words. At one occasion when we were being brought to the Prisoner of War Camp at Barelli, and we were passing through the Bazars of Barelli city, which was predominantly a Muslim town, I could see from their faces that they were looking very morose. I, too, felt very humiliated on seeing such a scene. I said to myself that perhaps, it would have been better if all of us had died on the battlefield fighting the enemy rather than face such humiliation. I am sure many other junior officers and other ranks must have felt the same way but I could not see such impressions on the faces of senior officers of my own rank. Please tell us something about your service profile from repatriation till retirement in 1975-76? We returned from the Indian prison of war camp in April 1974. All POWs had to be thoroughly screened before sending them back to their units. A committee of Inquiry headed by Lieutenant General Aftab had already been formed to examine each case. We were told to submit reports on our experiences during the war and for the period we stayed as prisoners of war. I gave a very candid report guided purely by the dictates of my own conscience. As a result of the finding of the committee of inquiry, a considerable number of officers of rank of Generals, Brigadiers, Colonels and below were retired / dismissed from service. All those who were cleared by committee of inquiry as fit for retention in service were posted to various units / formations at different stations. I took over the Command of 22 Brigade at Lahore in June 1974. A few months later, a special selection board for promotion was held at GHQ and I was lucky enough to be the only one out of 32 Brigadiers from the entire Eastern Command, who was approved for promotion to the rank of Major General. On 25th November 1974, I assumed the Command of 23 Division at Jhelum. What actually happened when you were GOC 23 Division and allegedly made a draft plan to overthrow Mr Bhutto’s Government? When General Zia ul Haq’s name was announced as the new Chief of Army Staff towards the end of February 1976, it came as a very big surprise throughout the country. He was the junior most Corps Commander and had not shown any extraordinary brilliance either in peace or in war. In fact, his past was quite obscure and not many people in the Army had known him. On the other hand most of others who had been superseded such as Late Lieutenant General Akbar Khan, Lieutenant General Azmat Baksh Awan, Lieutenant General A.I. Akram, Lieutenant General Aftab Ahmad Khan and Lieutenant General Abdul Majid Malik all had distinguished service. 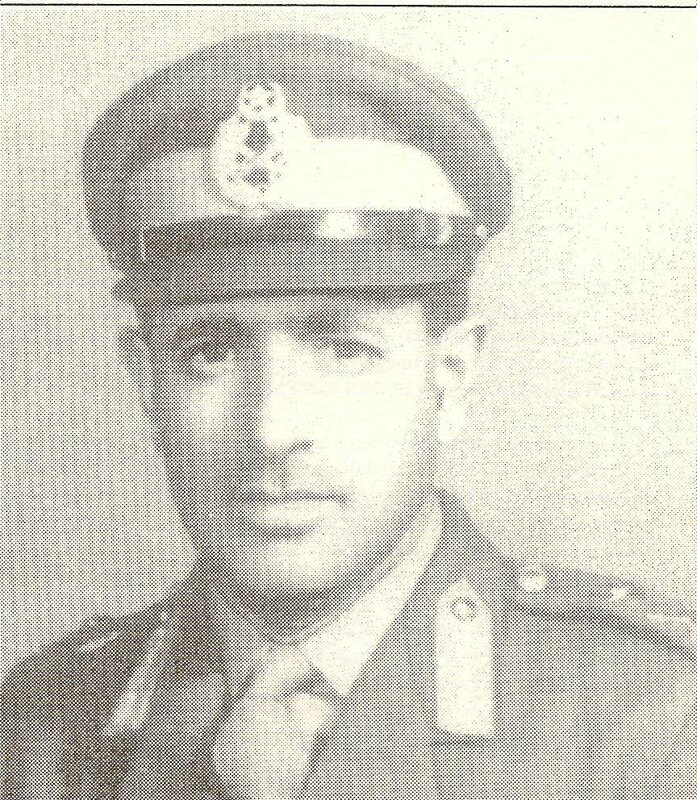 Even Lieutenant General Mohammad Sharif, though promoted to the rank of a General and made Chief of Joint Staff was in a way superseded because that post carried almost the same constitutional powers as late Chaudry Fazal Elahi had as President during Mr Bhutto’s regime, perhaps, even less than that because Chaudry Fazal Elahi was at least the constitutional head whereas Chief of the Joint Staff was not even the Constitutional head of the Armed Forces. The three Services Chiefs came directly under the Minister of Defence who was the Prime Minister himself.General Zia had hardly been in command of the Army for about a month when on 24th March 1976 he suddenly appointed a team of five new Corps Commanders and their names were announced on the radio. On that evening, there was a social function in the garrison officer club. I came back to my residence at about 2200 hrs and after saying my prayers went to bed. An hour or so later, I received a telephone call. I picked up the phone and the Chief of Army Staff, General Zia ul Haq was on the line. He said, “Have you heard the news”. I said “No Sir”. He said, “You stand superseded”. I said, ‘Who has been promoted’. He named Iqbal, Sawar Khan, Chisti, Ghulam Hassan and Jahanzeb Arbab. I said, ‘I would like to have an interview with the Prime Minister’. He said, ‘You can do that’. If I correctly remember, he said that I would be required to come to Pindi on 30th of March to attend a conference and during that period I could also see the Prime Minister. That was the end of our conversation. I must be frank in saying that I felt very upset about it. I had not expected that. I never claimed to be a genius nor had any misconception about myself but I knew the capabilities of my contemporaries, particularly those who had been promoted. After all we belonged to the same Army and I had by then put in about 30 years service. It is a long time to get to know each other very well. The peculiarity about these promotions was that except for Jahanzeb Arbab, who had been superseded earlier because of having been found guilty of embezzlement of huge amount of money while in East Pakistan by a Court of Inquiry, headed by Major General M H Ansari but continued to remain in an officiating Command of a Division with the rank of a Brigadier for nearly two years upto as late as February 1976 when he was promoted to the rank of a Major General, all others were those who were on staff in GHQ. Major General Iqbal was doing as Chief of General Staff, Major General Sawar Khan was Adjutant General, Major General Chisti was Military Secretary and Major General Ghulam Hassan was Director General Military Training. The Division Commanders that is to say myself, Major General Akhtar Abdur Rehman, Major General Fazal e Raziq, Major General Mateen, Major General Ch Abdur Rehman, Major General Jamal Said Mian, Major General Amir Hamza (DG Civil Armed Forces), Major General Wajahat Hussain (Commadant Staff College) were all superseded. After the appointment of Chief of Army Staff, about a month earlier, this was the second big jolt in the Army.It is a part of my character that I do not accept defeat so easily particularly when I feel that I have a right cause. I had followed this practice throughout my career. Therefore, on 25th March when I went to my office I started drafting my representation. It is also true that it came to my mind that in case the Prime Minister did not do Justice I would use force to get Justice done. Somebody had to stand up and say, ‘Enough is Enough. Don’t make Pakistan Army a private Army. There ought to be some Justice’. I was, perhaps, the only Division Commander who was in position to do that quite easily. Rawalpindi was only about 70 miles away and I could complete the entire operation of taking over the Government in a couple of hours on any night. I did not have to discuss the matter with anyone else. My method of Command was such that whereas I allowed complete freedom to my subordinates to point out any weakness in my personal conduct both official and private, I knew that no one could question the authenticity of my orders if I had so decided. However, so far this idea was only in my mind and I had not taken any practical steps in that direction. On 25th or 26th March, I called my Colonel Staff (retired as Major General) Mohammad Aslam Zuberi to my office. He had been a cadet in my platoon when I was a platoon commander in the Pakistan Military Academy in 1954/55. He was in upper term when I took over the platoon. To me he appeared to be quite sensible and a good person. I thought he was being unduly victimised and that if properly guided he had the making of a good officer. In September or October 1955 he got his commission and I never met him, thereafter, till he was posted as my Colonel Staff in 1975. I was very pleased to see him on that post. He used to say, “I tell others I owe my existence in the Army to General Tajammal, otherwise I would have been on the streets” which in fact to a large extent was true. It was primarily because of my support that he was given commission in the Army. Quite naturally I had complete confidence in him. I started telling him that I had such a good record of service both in peace and war that it could never cross my mind that I would be superseded and that I intended to put up a representation to the Prime Minister. I also gave him an inkling of my intentions. I told him that I had dedicated my life for the cause of Islam and that I had no desire for the accumulation of wealth and property or even for higher promotion except with the ultimate aim of establishing a truly Islamic State on the pattern of Khulfai Rashideen. I think I gave him the example of China and said that if an athiestic state could create an almost classless society why could not a truly Islamic state provide, at least, same kind of socio-economic justice to its people if not better. As he was from the Corps of Signals, I asked him if he could provide me with the necessary information on the communication set up in the country. I did not discuss any other details with him as to how and when I intended to carry out my plan. I could never imagine that my Colonel Staff would betray me. The same evening he went to Rawalpindi and reported to Corps Commander and then perhaps to Chief of Army Staff, General Zia ul Haq that I was planning to overthrow the Government. The next morning I was informed that I was required to attend a conference at Corps Headquarters / General Headquarters on 28th March. Accordingly I went to Rawalpindi that morning and occupied a room reserved for me in Apprentice School at the Mall. If I go into more details about what happened during the inquiry which lasted for five days, it would become very lengthy. The detailed account of that interview is given in my book, “The story of my struggle”. In conclusion, I would say that on 3rd April 1976 I was told to come to Chief of Army Staff’s office. As I entered that office General Zia ul Haq, flanked by four Lieutenant Generals, Sawar Khan, Ghulam Hassan, Chisti and Ghulam Jilani donned in their ceremonial dresses were all sitting in a manner as if my trial was going to start. In their peculiar way they put to me almost the same questions, which had been put to me during the inquiry, and they got the same answers, which I had given them earlier. What was the need for the big five to assemble in such a manner, I still do not understand. It was certainly not in keeping with normal procedure known in the Army. This drama lasted for a short time and then General Zia ul Haq said to me, “I have decided to retire you. The higher one goes the harder one falls. You are a fanatic.” Legally there was no justification to retire me from service. During the inquiry, which I have already mentioned, nothing incriminating was found against me. However, after announcing his decision about my retirement, General Zia said to me that I would be given about 5 days to bid farewell to the units and formations of my Division and that my retirement would become effective from 8th April 1976. Immediately after my retirement orders were issued, a letter was sent by General Headquarter from the Chief of the Army staff to the Formation Commanders to be read out to the Garrison Army Officers at various stations throughout the country stating that General Tajammal had been retired from service because he was planning to overthrow the Government and create an Islamic State. On 8th April my Divisional Officers arranged a farewell lunch for me at the Divisional Officers Mess. That was the last day I wore the uniform. How is that many officers including you, Amir Hamza, Saadullah etc who were praised by Indian Military Commanders like Lachman Singh were not promoted to Lieutenant General rank in the Pakistan? It is not proper for me to say so, but the fact remains that to the best of my knowledge the Indians have not praised any other senior Pakistani commander except myself in their books or otherwise in a manner as I have been. As regards my own promotion to the rank of Lieutenant General, it was mainly because General Zia ul Haq had seen my conduct during the Division Commanders conferences expressing my view very candidly. He, therefore, thought that he would not be able to control me. He selected a team of ‘yes men’ who were more docile and prepared to accept his command without any hesitation. My record of service at that time showed that I was the only one in the Pakistan Army who had been graded “OUTSTANDING”, as a Brigadier, in his last Annual Confidential Report. My last ACR as a Division Commander was graded “Above Average” by the then Corps Commander Lieutenant General Aftab Ahmad Khan, whereas from amongst my contemporaries Lieutenant General Faiz Ali Chisti and Late General Akhtar Abdur Rehman were adjudged on the lower side of the “Average” grade. What do you have to say about the assertion that sycophancy and timidity plays a major role in promotion to higher ranks in the Army? To a certain extent promotion through sycophancy has been experienced in almost all armies of the world. That is why Field Marshal Rommel of the German Army had to say, “Those who do no more than supinely pass on the opinion of the seniors are placed on the top whereas many others with high merits are placed on the shelf”. In our Army, Field Marshal Ayub Khan since he became Commander-in-Chief in 1951, made sure that only those people were promoted to higher ranks, who proved their personal loyalty to him rather than loyalty to the state. He did so because he had the ambitions of becoming the Head of State from the very beginning. As I said before, he had a contempt for the politicians and with the passage of time he went on getting extension of his tenure till he finally took over in Oct 1958. From amongst the senior officers anyone who expressed his opinion against the Army indulging in politics was immediately retired. Some of the very capable generals who had passed out from Sandhurst were superseded when General Musa was appointed Commander-in-Chief. Now that he is dead, it is not proper for me to pass any remarks against him but I have no hesitation in saying that he was a typical Gorkha Soldier, who had learnt to obey the command of their superiors whether right or wrong. The junior officers following examples of the seniors, had also learnt that perhaps sycophancy, rather than professional capabilities, was the only criteria for attaining the higher command. Exceptions are always there, but as a general practice many good officers who would have become very good Generals could not go beyond the rank of Lieutenant Colonel because they were intellectually and professionally far superior to their seniors and always expressed their views without any hesitation whenever and wherever required. Commanders who attain the higher ranks through following the path of sycophancy soon crumble in the face of danger and cannot stand the test of battle fatigue. That has been an inherent weakness in our Army, which perhaps continues till today. What were your impressions about Zia as you saw him in the Army tenure? I had not intimately known him before he became the Chief of the Army Staff but from his conduct during the Divisional Commanders Conferences, he appeared to me an incompetent and low grade officer. In one of the Division Commanders promotion conferences, I even saw him sleeping with his mouth open. He surpassed all limits of sycophancy when meeting the Prime Minister Zulfikar Ali Bhutto. While in uniform, he used to bow when shaking hands with Zulfikar Ali Bhutto. I remember my old Brigade Commander, Brigadier Hayat, with whom I served as his Brigade Major, once told me that he had written in Major Zia ul Haq’s ACR when he served under his command, “Not fit to go beyond the rank of a Major”. It is an irony of fate that a person of such a calibre had ruled Pakistan for a long period of eleven years till he was finally killed in an air crash.